This beautiful IWC Da Vinci 3758-03 luxury watch represents the class and style of every proud owner in a unique way. The IWC Da Vinci 3758-03 luxury watch is an authentic watch of enchanting watchmaking art. The face has and the lunette is . The movement is . To perfect this unmistakable luxury watch, the bracelet sets a perfect accentuation of the case with . The functions of this luxury watch include Month, Week day. Discover the world of IWC watches and learn more about IWC on the Manufaktur Webseite. 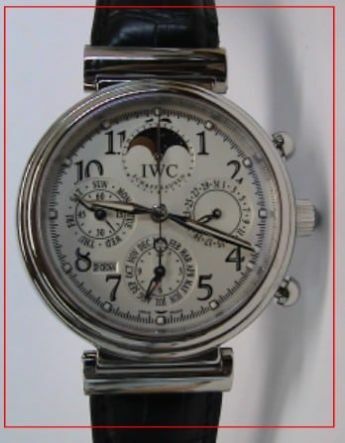 Take a look at our other exclusive luxury watches and see why IWC and other watch brands are so seductive. Rattapante is a leader in the online luxury watch market. From new, unused to used watches, we offer only the highest quality watches, including the IWC Da Vinci 3758-03.